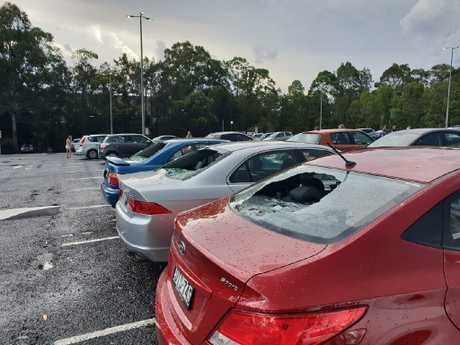 The repair bill for damage caused by the "catastrophic" hailstorm that struck Sydney and other parts of NSW last night is now expected to exceed $125 million. 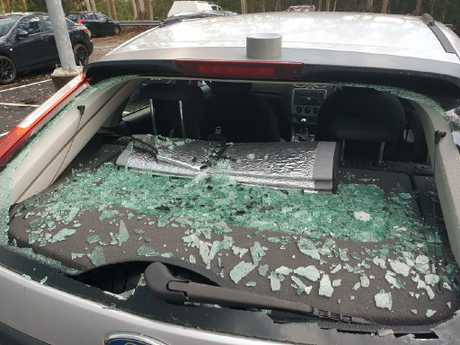 More than 25,000 people have lodged claims so far, with three-quarters of claims relating to damaged cars with smashed windscreens and dented panels. Many homes and businesses also sustained damage to roofs, awnings and solar panels, with overflowing gutters causing interior damage to some properties. The Insurance Council of Australia's Campbell Fuller said an "insurance catastrophe" had been declared as claims were expected to continue to rise throughout the day. "There are likely to be tens of millions of dollars in claims, if not more," he said. "They have to be huge events with widespread impacts on the community." Huge hail stones pile up in Surry Hills last night. The ICA said as of 2pm the largest amount of insurance claims have been lodged in Hornsby, Liverpool, Gosford, Waverly, Tamworth and Lithgow. O'Brien Glass sent text messages to customers today claiming more than 2500 people had contacted the company since 5pm yesterday. 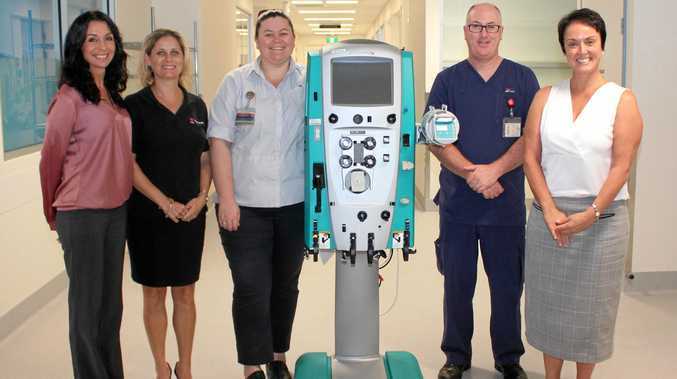 "Over 2500 people have made contact with us for support with damage resulting from the storms across NSW. We are currently working through this backlog however this may take a few days (we will be working over the weekend)," the text read. "Please trust that we have your request and are working through our customers, requests prioritising the oldest waiting customers first. "Please do not recontact us as this may cancel your first request further delaying contact and result in a later booking date. If things change we will SMS you. We understand that this is important and we are doing everything we can to help." SES Assistant Commissioner Scott Hanckel said crews were facing a "massive cleanup" involving more than 500 volunteers supported by other emergency services. "We had over 3000 calls at the height of it last night and I want to thank everyone's patience for getting through that critical time," he told Channel 9. "We've got about 1400 jobs to cleanup across the state today and it's in a very wide area that were hard hit (from) Berowra Heights, Hornsby, Liverpool, but also in the Central Coast and out to Tamworth, across to Lithgow and Wellington - they have all been hit by a line of very severe storms. "It was some of the worst I've seen in my 20 years … (we're going into) yet another weekend of cleanup. We just finished on the back of the previous storms - at around 4pm we were close to finishing those jobs when these hit - so it's been a very intense period of time for our volunteers." It was the second time in 24 hours - and the fifth night in a week - that Sydney had been hammered by torrential rain and damaging winds. 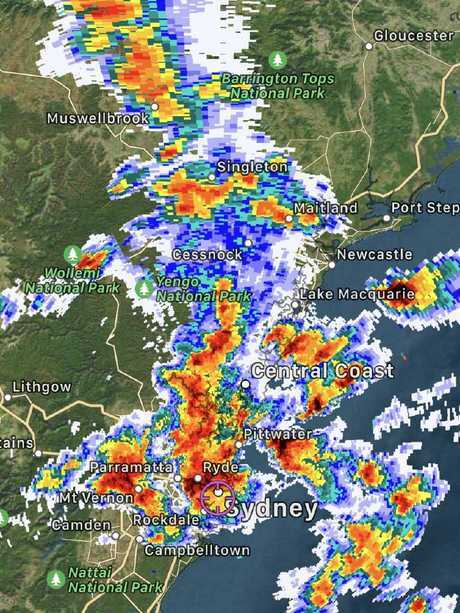 Multiple storm fronts converged on the Hunter Valley, Wollongong and Sydney on Thursday afternoon, prompting a severe weather warning from the Bureau of Meteorology. 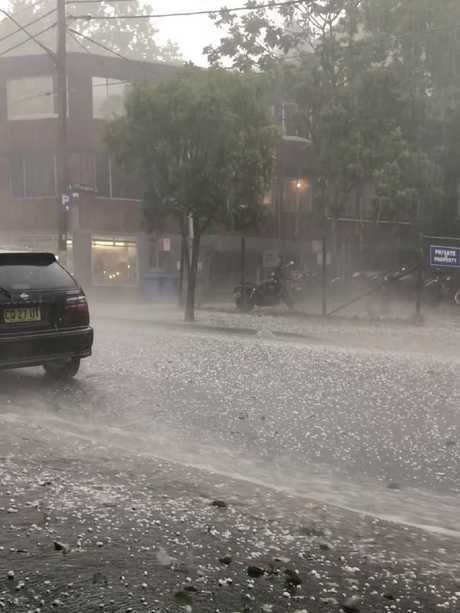 Tennis ball-sized hail smashed homes and cars in Sydney's west while golf ball- sized stones battered the city's inner suburbs an hour later, at 6pm. Reports of "extensive damage" to cars and homes had been received from Sydney's west to Bondi Beach. Windshields had been smashed, roofs damaged and both cars and homes impacted by flash flooding. Endeavour Energy reported 20,000 homes and businesses in its network were without power from the Blue Mountains, through Sydney's west and up to the Hawkesbury. Around 200 electrical hazards were left in the storm's wake as powerlines were toppled, the company said in a statement. Meanwhile Sydney's train network predictably began to fail. 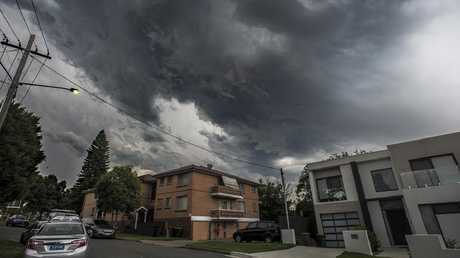 Multiple lines in the city's inner west, airport precinct and outer suburbs as well as intercity links reported stoppages or delays as lightning struck power supplies and infrastructure. 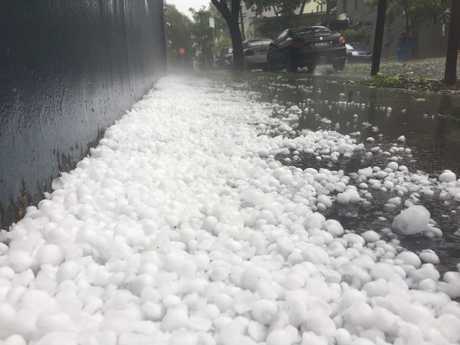 Social media was awash with photos of hailstones bigger than human palms on the city's fringes and videos which showed crowds huddled under awnings and city roads littered with icy pellets. Large parts of the city were pelted with giant hail stones and torrential rain for a staggering four hours. 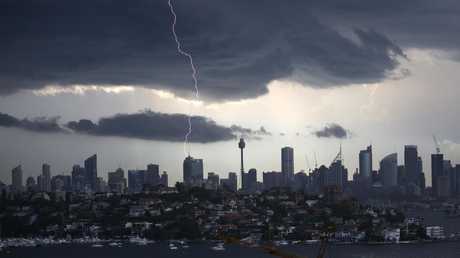 A Bureau of Meteorology spokesman said that parts of Sydney's north and south were hit hardest. "Eight centimetre hail was the largest reported, at around 5pm in Berowra," he said. Reports of golf ball-sized hail were also made from Casula in the city's south. Around 30,000 lightning strikes occurred over the greater Sydney region between 6pm and 7pm. In the city's southwest, 50 millimetres of rain fell in the area between Parramatta and Campbelltown. Another 44 millimetres of rain was recorded in the Auburn area. Meanwhile, commuters heading home were hit hard by hefty transport delays. Severe weather at Macarthur forced trains to stop at Campbelltown, while flooding near Olympic Park also meant buses replaced trains between Lidcombe and Olympic Park. About 5pm, planes leaving Sydney Airport were delayed for up to 20 minutes due to the raging storms. As at 8pm, the State Emergency Service was responding to more than 1100 incidents around the Sydney area. At around 5pm, hail began to fall through a broken skylight at Erina Fair on the Central Coast. Golf ball-sized hailstones can be seen bouncing off the tiled floors and into benches and pot plants while stunned Christmas shoppers watch on in shock. An SES spokesman said that there were around 100 jobs being reported every five minutes at the time, due to the sheer amount of damage done during the storms. The Insurance Council of Australia urged people who had experienced damage to seek information about lodging claims. According to the General Insurance Code of Practice, insurers can fast-track claims or make advance payments for damage caused by a catastrophe. Weather events such as destructive bushfires and cyclones have resulted in insurance catastrophes in the past. The most recent insurance catastrophe in NSW was triggered by the Tathra bushfire in March this year. The most expensive insurance disaster was the 1999 Sydney hailstorm, which would have cost over $5 billion when adjusted for 2018. Will my hail damaged car be written off? If your vehicle is severely damaged by hailand comprehensively insured, your insurance company may decide that the cost of repairing the vehicle is more than the vehicle is worth. Check with your insurance company for better advice. How much does it cost to fix minor hail damage? The cost of hail damage repairs varies from one auto body shop to another. Some claim that small dents can be removed for $30-$45. Medium sized dents cost$40-$55 per repair, and large dents are far more expensive to remove at $75-$80 per repair. Does my insurance cover hail damage? First, the car could not be repaired using paintless dent repair. ... The fact that you are now looking at a hail damaged car that was not fixed should give you serious pause. It still has damage for one of the three reasons listed above. Dents can be fixed by paintless up to a certain point of damage. How long do you have to report hail damage? The good news is this: most insurance companies allow you up to twelve monthsto file a claim on hail damage. However, you don't want to wait that long! Hail damage can wreack havoc on your roof and home. to smash Sydney, the Hunter and Wollongong.